When the sun was just coming up..
…Of all the photos I have taken, I think these are one of my all-time favorites..
…It was taken from our hotel room window of the beautiful Fairmont Hotel, in Lake Louise, Canada. to see the changing views of the lake and mountains. 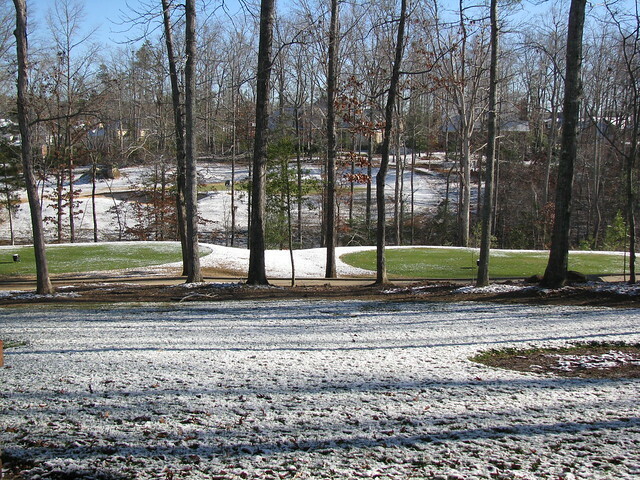 …There is a beautiful window seat in the room so you can sit and “enjoy the view”..
And a beautiful snow scene that Mother Nature brought to us on a cold N.C. day..a view from our back porch.. 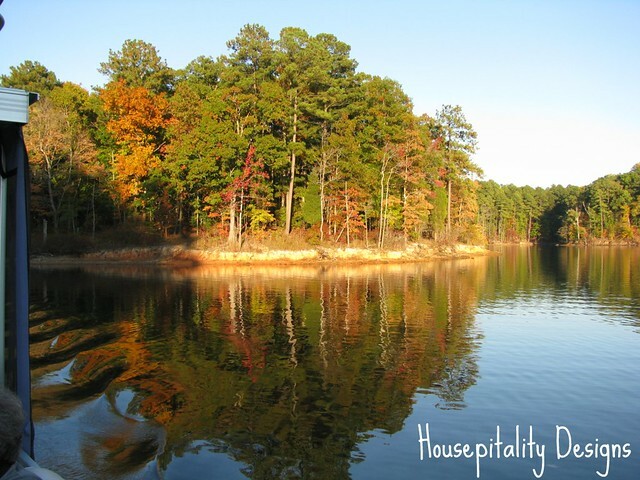 Mother Nature’s Beautiful Autumn Day..We took a leisurely boat ride with a group of friends on Jordan Lake, which is a few stones throw (well maybe a few more) from our house…A beautiful Lake. That day was glorious with the leaves at their peak. 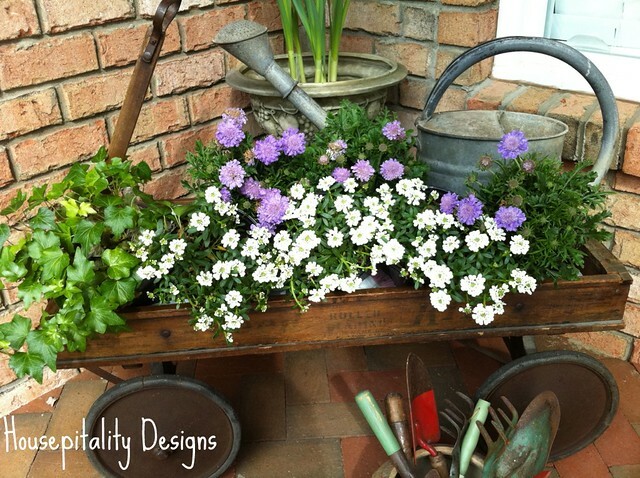 some flowers in my vintage wagon.. I hung 2 small lanterns from them and inserted tea lights.. If you read my previous post, you will notice the “birdie bath” in the corner that was once in our bathroom. 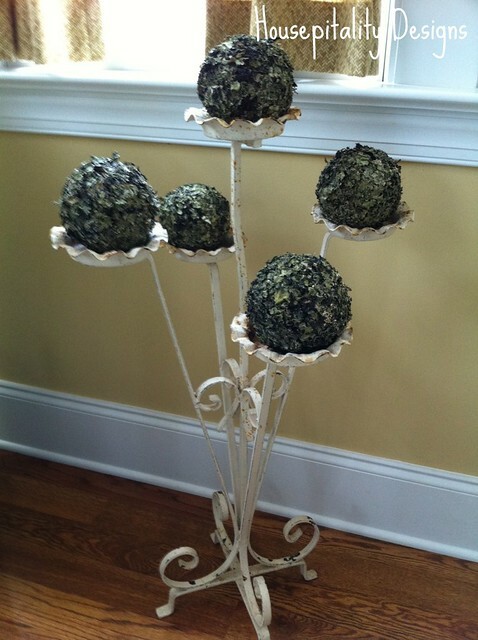 Instead of potted plants, I placed lichen balls on each holder of this plant stand. 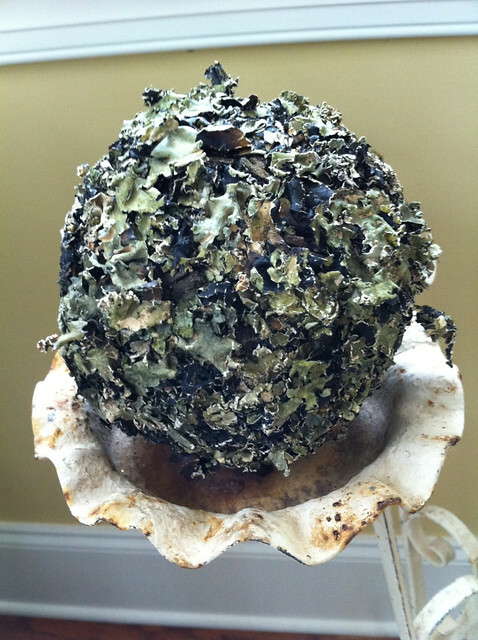 Try to use natural looking items rather than the “usual” candles, etc. 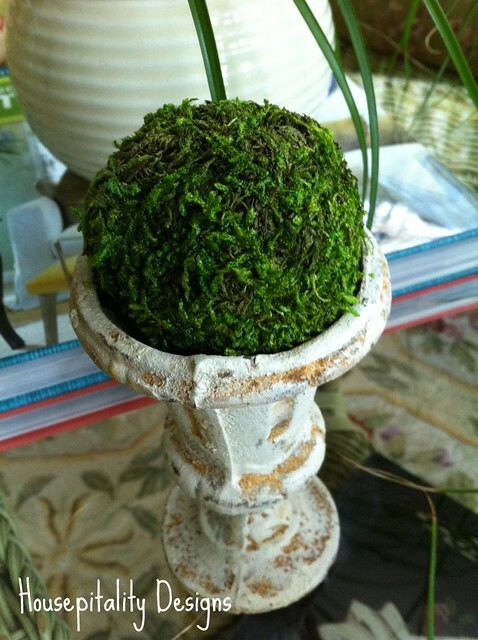 I love using moss covered balls in various vignettes and holders. bowl in the vintage A&P shopping cart that is in my kitchen. 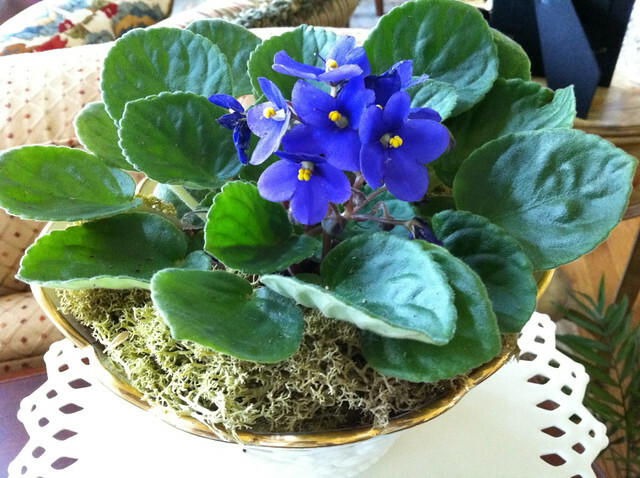 And now to the “real” mother nature..an African Violet in a Lenox bowl.. 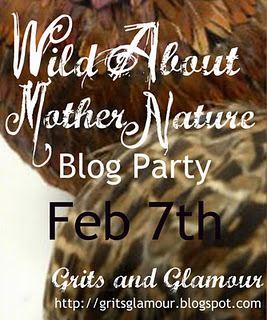 I use reindeer moss to hide all the “unwanteds”..
And lastly, my little bit of “Florida Sunshine” to warm up a heart on a chilly N.C. day..
Grits and Glamour Wild About Mother Nature Link Party..
Ok, I know this whole post is dedicated to all things Mother Nature, but I am absolutely fascinated by your vintage A&P Shopping cart. haha I love it. You have gotta do a post on this. I can’t think about A&P and not think about my sweet Mama collecting their stamps and buying dishes, etc. You really are rubbing it in when you post these beautiful photos and all we have here is brown, brown and more brown until last week when Mother Nature decided to add a bunch of white snow! I do have several green plants inside my Colorado home with a couple of blooming ones for color. Anyway, consider me very jealous especially of your outdoor space since I must follow the unwritten rule not to put any plants outside until after Mother’s Day. Just to add clarification on your Colorado photo, it is actually Maroon Bells (just outside of Aspen), probably the most photographed destination in our beautiful state. Great photos in this post, Shirley. Oh it’s all so beautiful! What gorgeous views. The cart and the wagon stole my heart for sure! I am not sure what A&P is, but it’s darn cute. I have a vintage shopping cart that I bought from a yard sale for $5. I bought it in the town that I grew up in and it was once used at our local grocers. I love it and have so much fun with it out in the garden. I am so anxious for Spring. 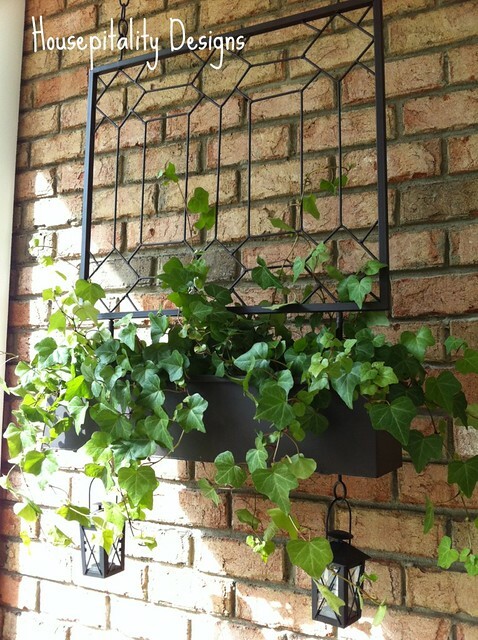 I usually wait until March to bring a bit of greenery to my front porch. Yours is making have a bit of green envy. lol! Great photos, Shirley! 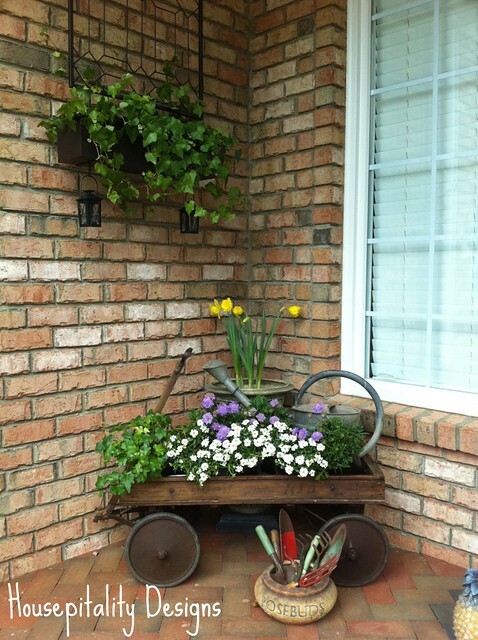 I envy you the flowers and greenery you have out on your front porch! It is still too cold here to do anything like that, but I have ideas planned for the area outside our condo come Spring. 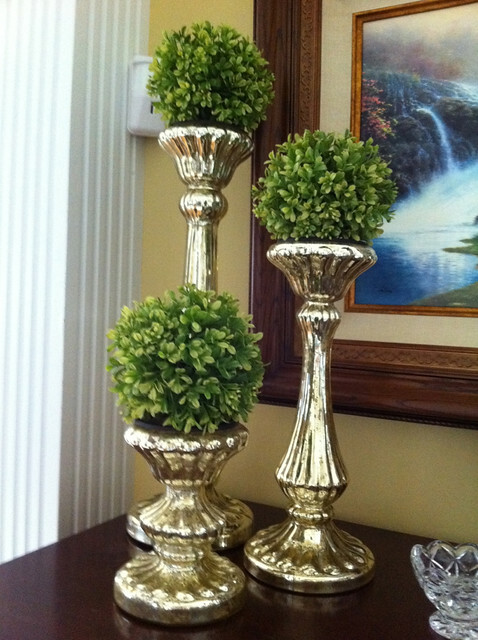 I love those boxwood balls! 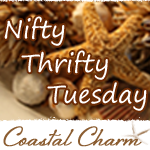 I love getting the pillar candle sticks, especially when I see them at a thrift store, but not so much for actually holding candles. 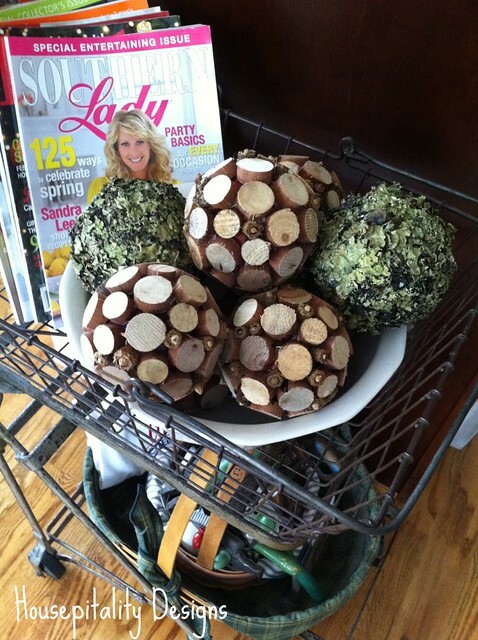 I am going to look for these boxwood balls. Let me just say, fantastic photos. 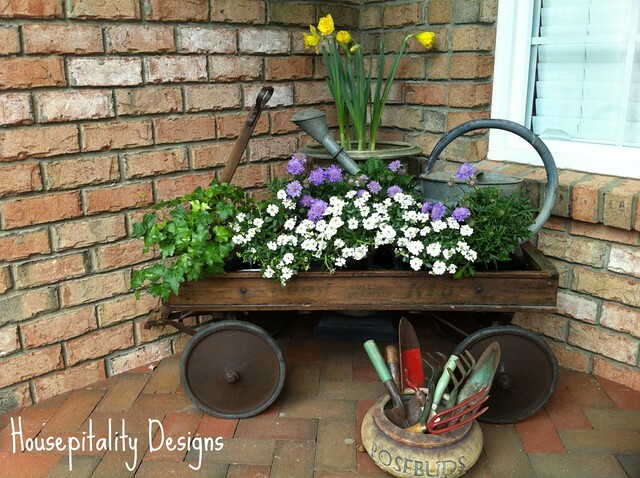 I just love that old wagon decorated on your porch! That is so pretty! These photos are absolutely gorgeous – really, magazine or contest worthy! Incredible photos. I lived in Colorado for a couple of years, and that would be the only thing I have ever seen which would compare to those mountain shots. 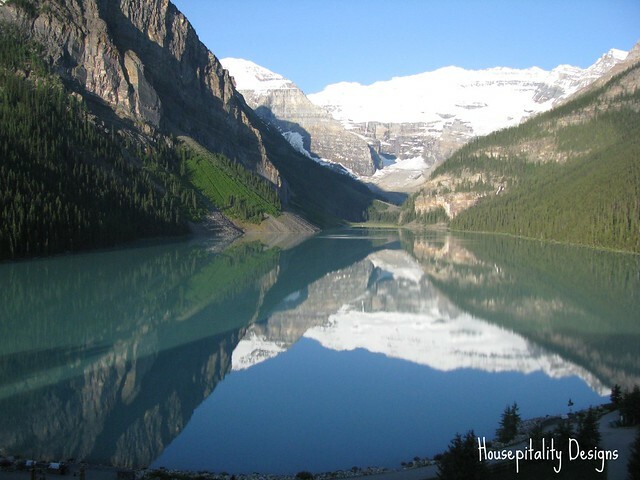 I visited the Fairmont at Lake Louise a few years ago when we stayed in Banff we drove to it and ate lunch there. Those are gorgeous shots you got. All are such lovely images! 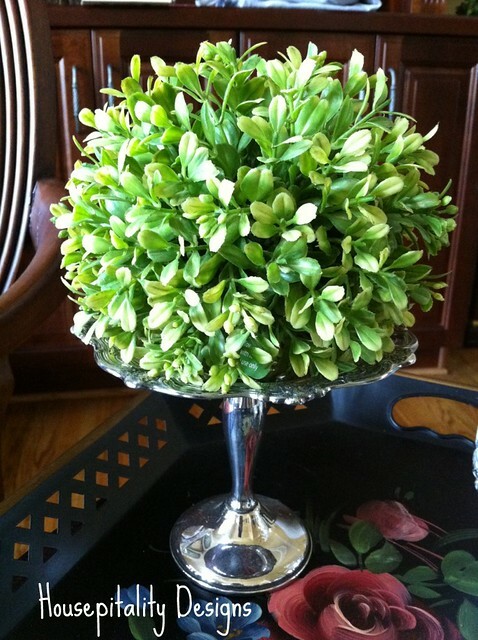 Your porch and home arrangements are all charming! Beautiful photos, I feel like I have been on a little vacation this morning. I do love to travel and visit beautiful places. Thanks for stopping by my site and leaving a message. I love the pictures. It makes me want to get outside and go hiking and spend some time with mother nature. Now I am really ready for spring after your post! LOVE the awesome pics! and your sweet wagon is just too cute! 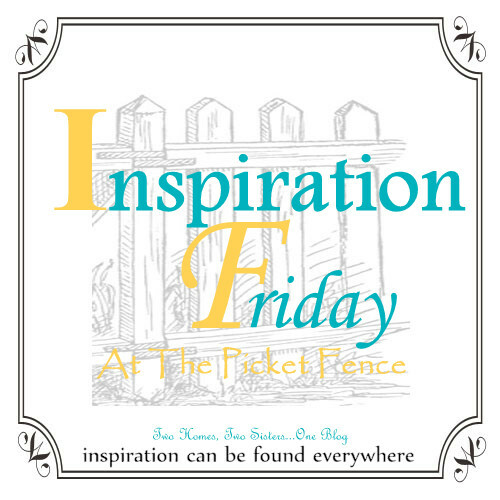 So many things to love here…the gorgeous scenery, your photography skills, your wagon filled with spring flora…so much inspiration in this post, Shirley. 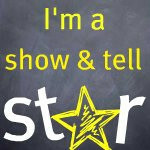 Glad you shared at Show & Tell for others to see. Okay….seriously….I had to read through twice. Those pictures are stunning….there is no other word for it, but stunning. I am a little in awe of you right now. I am trying so hard to take pictures….but these….they take first place in my book. Thank you for the inspiration with my morning cup of tea. At first glance, I’d guess that the first two are paintings. So beautiful. Seriously every single one. 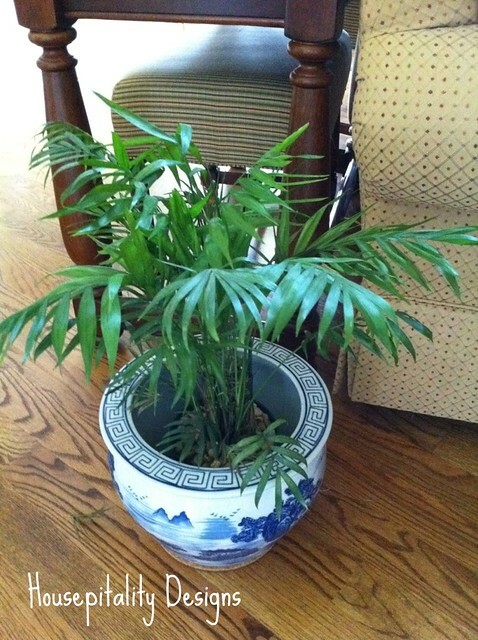 You have such great taste with the greenery around your house. Im in awe! Hey there,..you linky followers seems to be working. I added myself to the list..
Gorgeous, gorgeous, gorgeous. 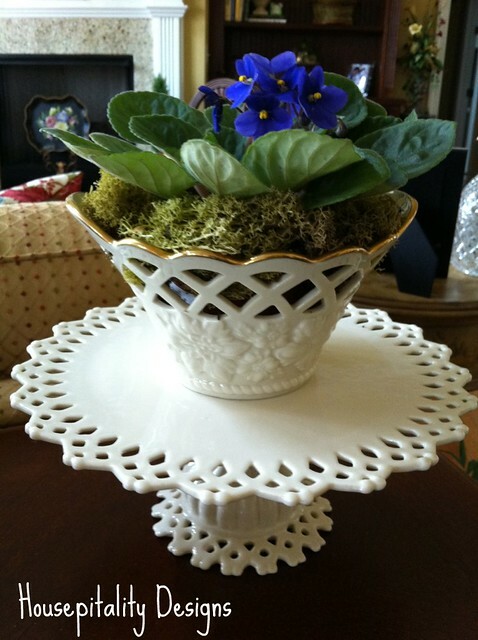 Every picture is lovely but I am in love with the violets in the Lenox bowl. Sigh…perfect! 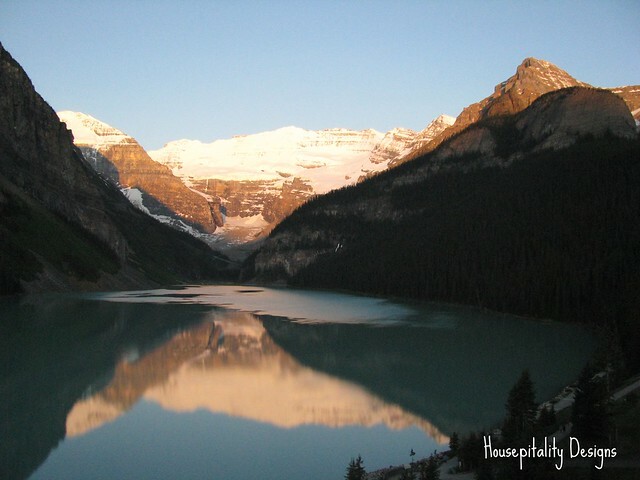 I recognized the photo of Lake Louise as soon as I saw it. I was there as a kid on vacation with my grandparents. We were just passing through but I took several pictures and still have them. It’s one of the most beautiful lakes I’ve ever seen. Wow! Love the pictures from Canada. I have always wanted to visit there! Thanks for sharing! Can you please give me the information on for joining your site? 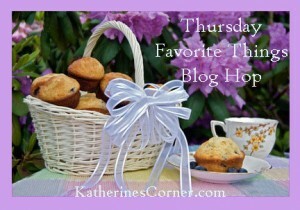 I love the ideas you have and don’t want to miss a thing!